1,942 poker players vied for the total net prize pool of $4.4 Million in Event 56 of the 2010 World Series of Poker, a $2,500 buy-in No Limit Hold'em tournament. 198 places were to be paid with the biggest prize of $825,976 going to the big winner Tomer Berda, who also wins a WSOP gold bracelet. Tomer Berda is a 34 year-old Israeli Software Developer, who now resides in Menlo, California. It was the fourth time for Tomer Berda to cash in the WSOP. His most notable previous cash was a fifth place finish in Event 5 of the 2010 WSOP. After that, he endured 12 straight non-cashes before finally breaking through with a huge victory. It was also a tough-climb as he head to overcome a 3-to-1 chip disadvantage in heads-up play. “I never lost hope. I think he was playing better than me. I am supposed to be a good player heads-up. He was playing better than me, heads-up – I have to admit. But I was lucky because I did manage to win a coin flip and then another two big pots. So, I was lucky on the big pots. But he kept chopping me down. I was lucky to win the pots that mattered most,” explained Tomer Berda. The runner up was Vladimir Kochelaevskiy from Moscow, Russia, and was paid $510,939, marking his fourth time to cash at the WSOP. The third-place finisher was 25 year old poker pro Bryan Porter from Wilmington, North Carolina, who cashed for the second time this year worth $353,260. 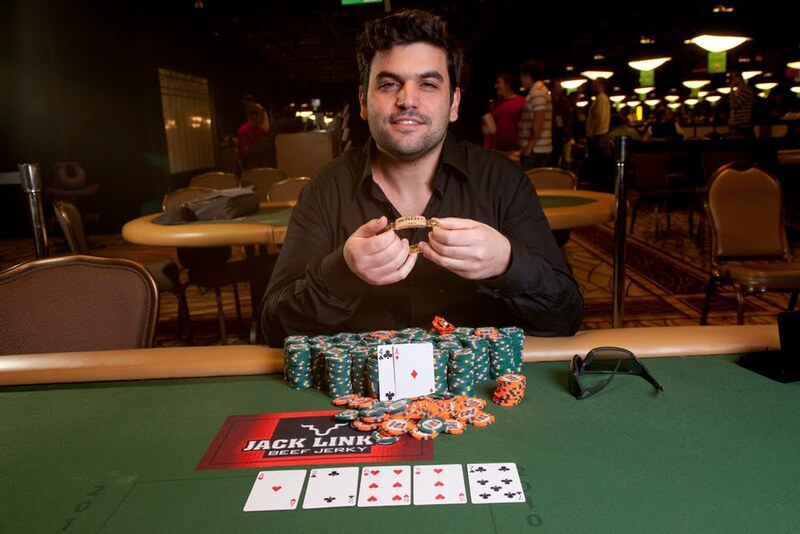 The fourth-place finisher was Salvatore Bonavena from Cessaniti, Italy, who marked his second time to cash in a WSOP event, and got paid $254,777. The fifth-place finisher was 39 year old poker pro and WSOP gold bracelet winner Mike Wattel from Scottsdale, Arizona, who now has 25 career cashes at the WSOP, earning $186,250 for this finish. The sixth-place finisher was 35 year old Hungcheng Hung from Taipei, Taiwan, who marked his second time to cash this year, which paid $137,946. The seventh-place finisher was Ali Alawadhi from Longwood, Florida, who marked his second WSOP final table appearance to win $103,527 in prize money. The eighth-place finisher was 24 year old pro gambler Joseph Curcio from New York, New York, who marked his second time to cash at the WSOP, which paid $78,705. 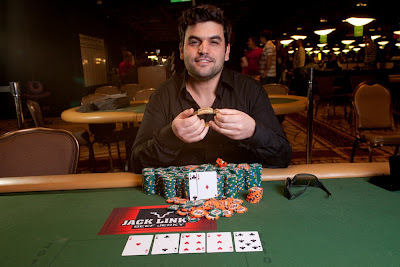 The ninth-place finisher was Alfonso Amendola from Catania, Italy, who earned $60,580. Former WSOP gold bracelet finishers who cashed in this event included – Mike Wattel (5th), James Mackey (10th), David Baker (35th), Jason Dewitt (65th), “Captain” Tom Franklin (83rd), David Singer (87th), Dan Heimiller (129th), and Jamie Gold (195th). This was Dan Heimiller’s seventh time to cash this year. He is having one of his best WSOP years ever, having achieved six five-figure payouts. Craig Marquis, who was one of the inaugural “November Nine,” finished in 16th place. Marquis finished 9th in the 2008 Main Event.